Cross-promotion. Referrals from other medical professionals carry weight, so team up with other local healthcare providers and specialists so that everyone is benefitting. Beyond the exam room, promote one another on social media as well so that you’re reaching new eyes. Giveaway contest. Who doesn’t love something free? Launch a giveaway campaign where you offer a free service and promote it on social media and email, inviting patients to share the link to enter the contest. This will also help bring your practice’s name to new sets of eyes. Offline avenues. Patients range in age and media preferences. Consider offline platforms like TV, newspaper and magazines. This could mean an ad, but also consider pursuing interviews with these sources. Is there a local magazine, paper or local news channel that might consider featuring your practice? Establish a credible voice. Whether through a blog, YouTube channel or LinkedIn group, provide consistent content that helps establish your practice as a reliable, trustworthy voice on healthcare. The increased visibility and authority you will gain from this will help potential patients more easily find you and think you trustworthy. Increase convenience. 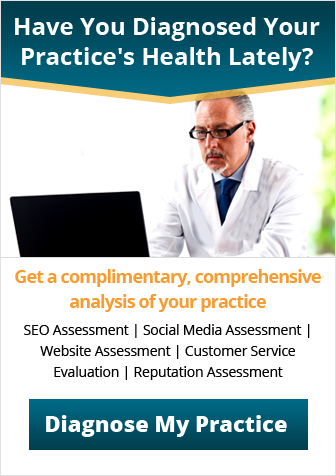 With so many services available instantaneously, it can be difficult to compete as a medical practice. Patients will appreciate and be more likely to return and recommend your practice, however, if you make the extra effort. Find a way for patients to schedule an appointment online, or ask patients to give their phone numbers to you so you can text them if a slot becomes available. Consider offering hours outside the normal weekday, business hour slots when many of your patients are also busy. Ask for help. Patients will value the fact that you want their input. Ask them to fill out a survey, which you can email them directly after their visit, or post a link to your survey on social media to increase your practice’s visibility. Asking for help can also mean bringing in professionals who understand the unique demands you face in healthcare as well as how to reach more potential patients. Practice Builders knows you are already pulled in many directions by the daily rigors of running a practice, so we’re here to help with our Healthcare and Medical Marketing Plan. To learn more or sign up for your free consultation, start here or email info@practicebuilders.com.